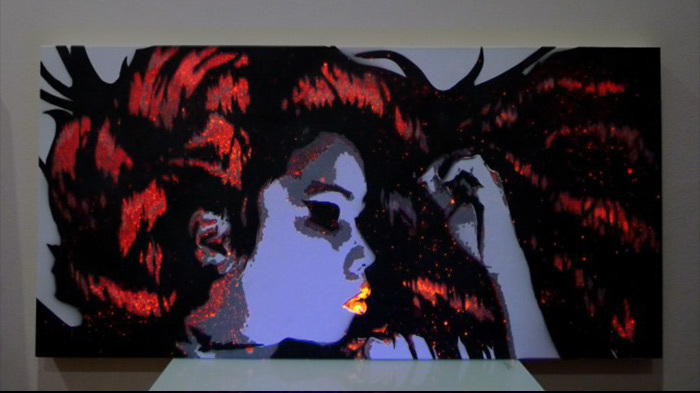 Black light reactive stencil portrait art on canvas painted using UV reactive spray paint. The portrait was based on a photo someone had sent me. The piece is made up of four stencil layers (I’ll explain a bit about how I created the stencil in the video below). The canvas itself is 1m wide x 50cm high, it is perfectly visible in normal light however when exposed to black light (ultra violet) it contains a secret layer of uv reactive paint. In UV light the portrait takes on a different dimension to reveal a galaxy type effect and highlighting the features of the model in the portrait. The photo below shows the portrait in normal daylight, the portions that contain black light are slightly more visible then normal paint providing nice accents. 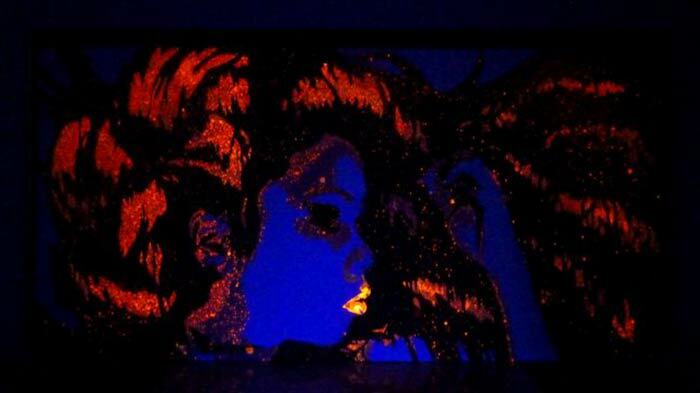 The below photo is the same canvas exposed to black light. In black light you can tell exactly where the UV reactive paint has been applied, the normal white paint in the background is not black light reactive but still gives of a slight glowing neon effect. The below photo is the piece in both UV light and normal day light. I make custom portrait pieces, all I need is a photo to work from, import it into photo shop, manipulate the photo, I then send the customer a preview. 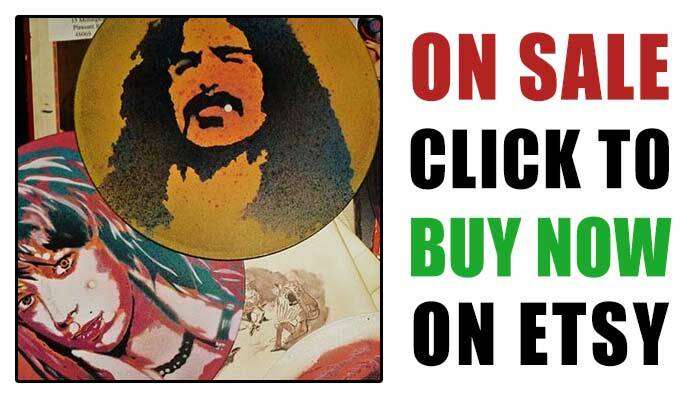 Once the preview image is approved by the customer I then go about printing and cutting out the separate layers of the stencil. 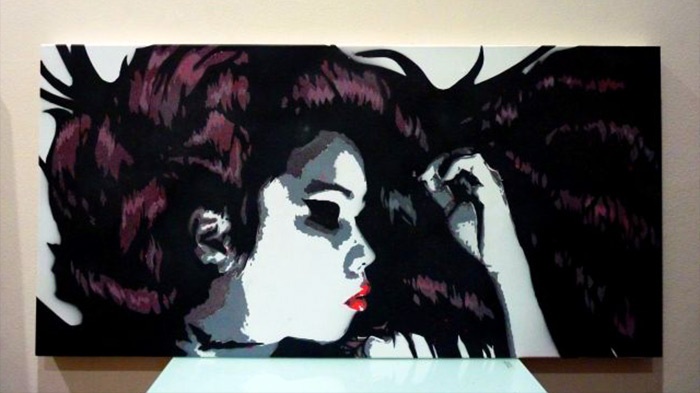 If you would like to order your own custom stencil portrait art piece send me an e-mail with details of your request. Tell me about size, colours scheme and what surface to paint on along with the photo you’d like to use and I’ll be able to give you a quote.